By now you should know how obsessed I am with listening to Podcasts! I am currently loving a few but right now Jenna Kutcher is on my raider. Be sure to to listen to the Jenna Kutcher Podcast if you have a chance. It’s actually called the Gold Digger Podcast but I love every single episode she puts out. They are truly inspiring and you definitely learn something each time. But before we get started on the best of Jenna Kutcher Podcast, we would love for you to join our growing Facebook group right here! Be sure to give us a quick follow on Instagram as well! Who is Jenna Kutcher? 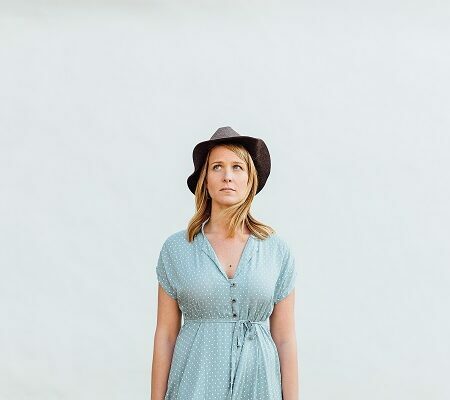 Jenna is an amazing photographer, entrepreneur and an amazing Instagram strategist. She currently has over 738K Instagram followers and posts amazing content every single time. She also has amazing courses you can take to up level your Instagram account, an amazing online store to die for and few other side businesses. I have a love for weddings and beautiful photography. Hence why I started a wedding blog. When I came across Jenna Kutcher’s business, I fell in love. Her first professional business was wedding photography, were she booked over 25 weddings her first year! If you are in the wedding industry this is AMAZING! Way to go. Her photography and branding business has since grown and she makes well over a 7- figure business income. She shares all her struggles, successes and tips in the Jenna Kutcher Podcast also known as the Gold Digger Podcast. You are often going to hear people go back and forth between Jenna Kutcher Podcast or the Gold Digger Podcast, either one is fine and it will get you to where you want to go to. 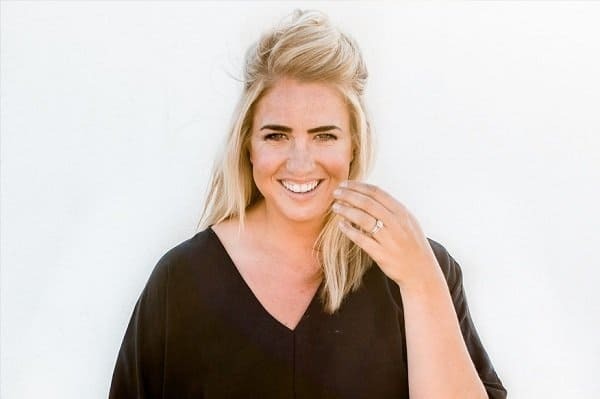 We rounded up the best of the Jenna Kutcher Podcast that we feel will help inspire you and grow your business as well. If you are looking for other Podcasts to listen, we wrote a detailed post on 11 Inspirational Podcasts for Bloggers! Be sure to check that list out as you will be equally impressed. Jenna Kutcher is popularly known for her Instagram game. And naturally, we are also trying to grow our Instagram brand, so this is our favorite episode from the Gold Digger Podcast. In this podcast, Jenna shares how she was able to share all the tips you can implement in order to sky rocket your own Instagram account. If this sounds like something you want to do, be sure to listen to the podcast here. Who doesn’t appreciate having some passive income? And we all know how had it can be to come up with great Passive income ideas. But this is one of favorite podcast from Jenna Kutcher as interviews an expert on how to make money using eBooks. They share the strategies on how they were able to sell over 100, 000 books. Listen to learn the A to Z steps of creating an eBook, marketing tips and how to make it profitable. Ever heard the saying that the money is in the list? Well that is how I monetize my blog. I do this by sending my tribe high quality information, tips, tricks, products and much more to help them. Jenna goes in deep about the exact strategies that has helped her get raving fans. If you want a strategy to grow your email list by 5,000 each week, tune in to this episode right away. Okay my theme for this year is to batch work. I am trying hard to get ahead and stay 3 months ahead in terms to the content on my blog. 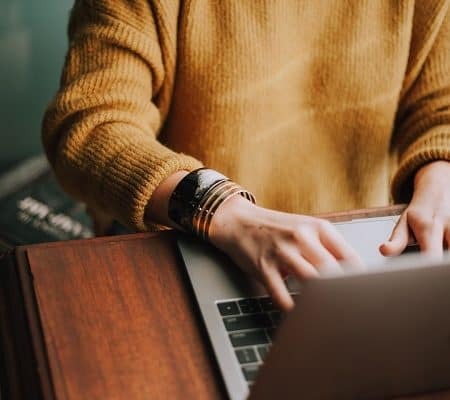 This will leave me time to update old posts for SEO using Debbie’s amazing methods, time to connect more with my tribe and family, as well as time to get my other businesses off the ground better. The goal is to become more productive as an Entrepreneur as well as to improve my time management techniques! With this in mind, I needed to find the best way to batch my work. I decided to go the Jenna Kutcher Podcast to see if she ever talked about this topic, and voila! How to Batch Work and Save yourself hours! Bosses need to eat too! But how exactly do you pay yourself each month? You need to give yourself a salary. But knowing how much to pay yourself is sometimes hard to determine. Jenna Kutcher does an amazing job of going through step by step on how you can pay yourself as an Entrepreneur. Learn how to pay yourself today with Jenna Kutcher. Are your ready to quit your day job and escape the 9-5? Jenna shares the 5 steps she took before the left her 9-5 dream job. You will also learn exactly what to do before jumping into a full-time entrepreneurship lifestyle! The podcast is designed to help you start off on the right foot, what to invest in, how to grow your new business and much more. If you are ready to quit your day job, be sure to check out this amazing podcast! I love updating my website, whether its the theme and look, or the content, I am all for constantly keeping it fresh. My website is the storefront of my business and I need it represent me to help me connect with my tribe. They are a few ways you can go about updating your website and Jenna discusses it in this podcast. If your website is ready for a little face lift, new opt ins, new titles, be sure to check this podcast to learn the process. So what makes a good blog post? 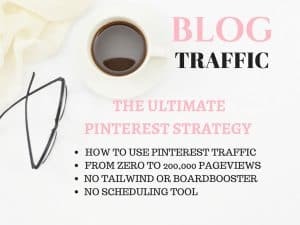 Jenna does an amazing job on sharing tips on how you can create killer blog content that your readers will absolutely love. 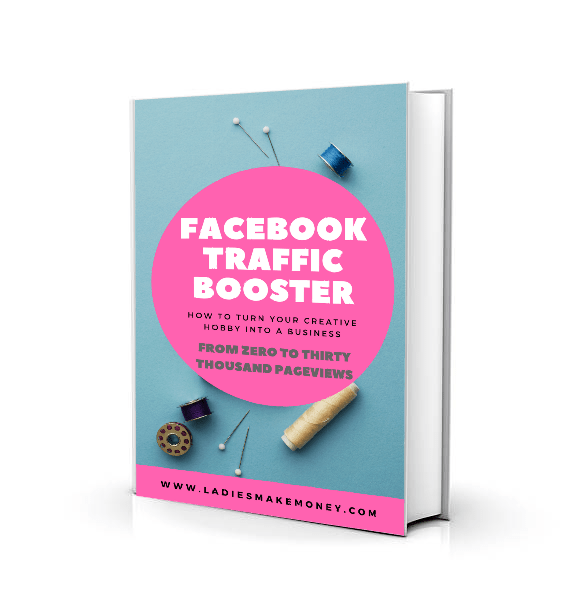 If you want to be profitable in the blogging world, this is a must listen! 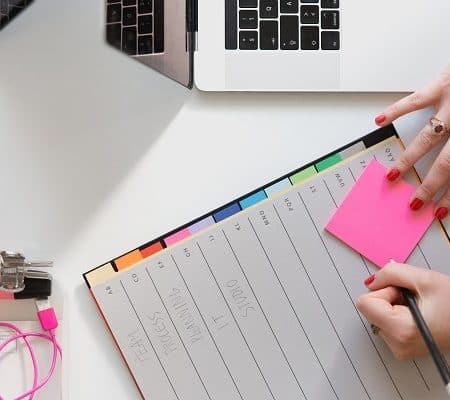 She shares great tips on how to craft the perfect blog post titles, to making your content highly readable to serve your clients as well as how to better promote. If you think your post lack originality or you are not too sure on how to better them, be sure to check out Jenna Kutcher and listen to her podcast! 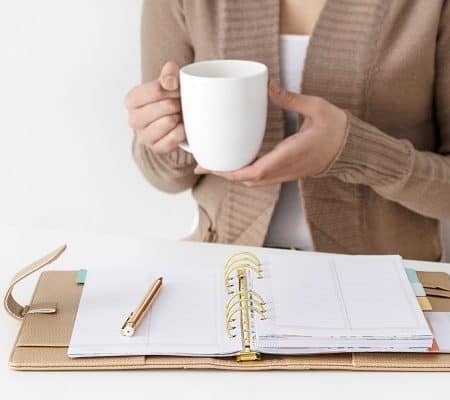 I love to support stay at home moms (because I am one) and I frequently feature posts such as how to make extra money as a stay at home mom! But When I heard this podcast on the Gold Digger Podcast, I just had to tune in. Find out how this stay at home mom built a 100 Million Dollar company! This is a dream for most of us. If you want to know more about this episode, be sure to tune in here! Starting a Shopify store is my dream. In fact, I am working on starting one by the end of this month! If your dream is to own your own online store, you absolutely can not miss this podcast! Jenna even goes into detail about how she promotes her store using different tactics and platforms such as Instagram, email marketing tips, and Facebook ads. If you are not sure if an online store is something you might be successful in, be sure to tune in to find out! 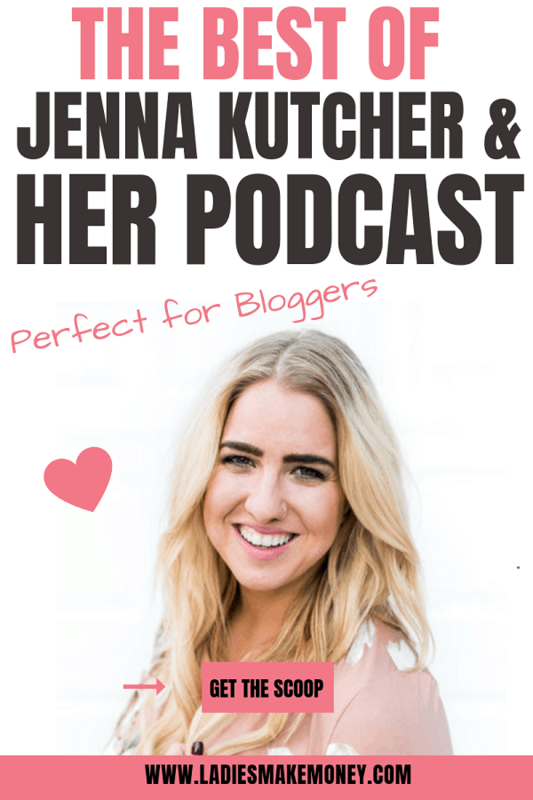 I could go on and on about all the wonderful tips on the Jenna Kutcher Podcast, but you need to check it out for yourself. Just search for the Gold Digger Podcast on your Podcast app and you will be ready to go! Great guide. Look forward to checking these out. Love Jenna!! Thank you or sharing!! Yes we enjoy her podcasts as well. Great post and information! Thank you for the great advice! Of this info. What a great post – I am so happy I got to read your ways to make money the timing of this couldn’t have been more perfect. I love Jenna’s work and I knew she had a podcast but honestly, i just hadn’t made it over to listen yet. This, however, has motivated me!!! Thanks!! Oh please do listen. You will be amazed at how much you learn. Wow – she’s had some amazing accomplishments! Thanks for sharing her podcast! I’ll be sure to tune in! That’s awesome! I am glad you enjoy Jenna Kutcher too. Her podcasts are amazing! I love listening to podcasts at my 9 to 5. I’ll have to put a few of these on my list. Thanks! I know. I learn so much from listening to Podcasts! And Gold Digger Podcast just has so much information to offer.